"Oh, I knew if you came here something would happen. But, frankly, I didn't think it would end up with me being your mother-in-law." After the death of her husband Jonathan, Anne Crandall (Irene) took over his position as major, more because of the family tradition than because of her own desire. 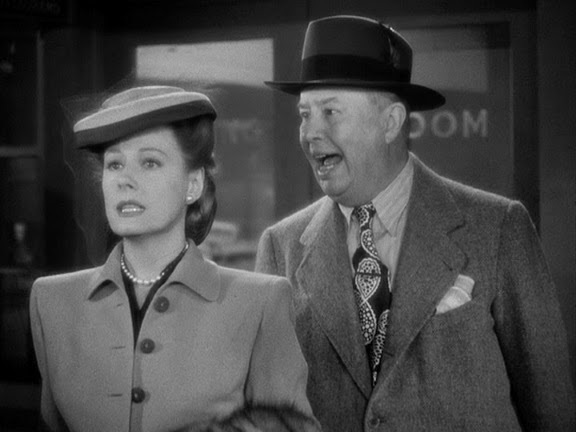 Five years later her life revolves aound her work and her neurotic step-daughter Diana (Mona Freeman), much to the concern of her father-in-law (Charles Coburn) who thinks that's about time for her to find a new partner and start a life of her own. Hence, when a bolt of lightning beheads the statue of his late son, he takes this as a sign that Jonathan agrees with him. Nicely enough the search for a sculptor to create a new statue makes a trip to New York necessary. Maybe Anne will meet a fitting man there? -And buy a new hat. - A new hat? What's the matter with the one I have on? -It looks like a hat, that's what's the matter with it. ought to be on the way in. - Buy a new hat and find out. 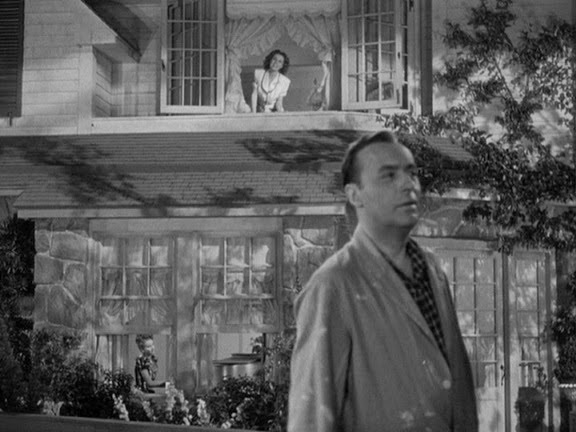 Well, Anne meets artist George Corday (Charles Boyer) and though they have a lot of trouble getting started - including Anne ending up in jail after a night club raid - it's obvious that George is attracted to her. Despite the fact that she decided against him for the commission, he follows her to Brookhaven and manages to start working on the statue - as house guest of the Crandalls, of course. George and his two fiancees... music's in the air! 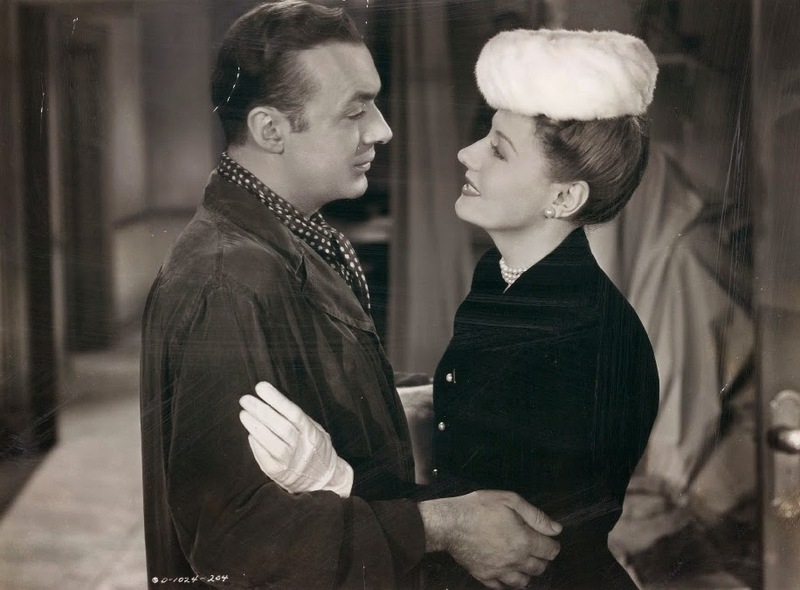 The title of this film has nothing, absolutely nothing to do with the plot but sums up what this is all about - Irene Dunne and Charles Boyer "Together Again." 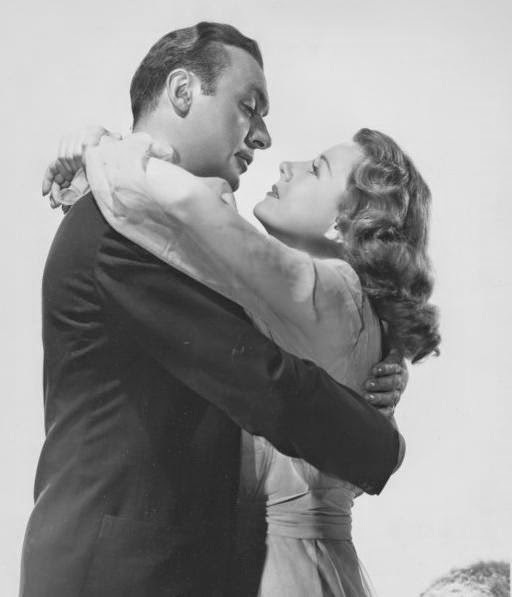 That steady correlation between on-and off-screen is one way how the classic Hollywood studio system worked, and after their colloboration in the acclaimed "Love Affair"and "When Tomorrow Comes" (both from 1939), the fans of both stars certainly waited for another co-work. It's a pity that they only got this ridiculous story to work with, but the chemistry of our protagonists makes up for the weaknesses of the script. Actually they carry the whole enterprise; in Irene's case elegantly dressed for this task in Jean Louis' creations. 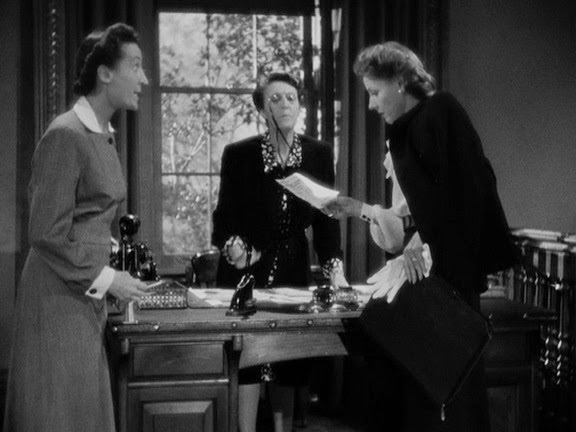 Recommended by Miss Dunne, "Together Again" marks the beginning of Jean Louis' career in Columbia's wardrobe department. How's that for a quiet evening at home outfit? Wouldn't you know that I find this film rather foolish with all its thunder and lightning? But nonetheless it's fairly charming and entertaining. After the heavy dramatics of "The White Cliffs Of Dover" it's nice for a change to see Irene in a comedy again. 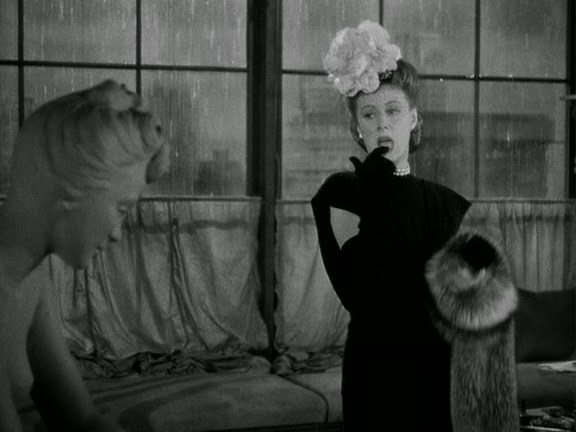 Beyond the reunion with Charls Boyer and the concomitant on-screen chemistry, the whole film is built around her. She proves once again her star quality by ennobling this mediocre script to a satisfying piece of entertainment. Her lively face, her multi-variant voice, and even the Dunne typical mannerisms - the waggling shoulders, touching her teeth with her fingers, for instance - are used effectively. Technically there is nothing wrong about "Together Again." 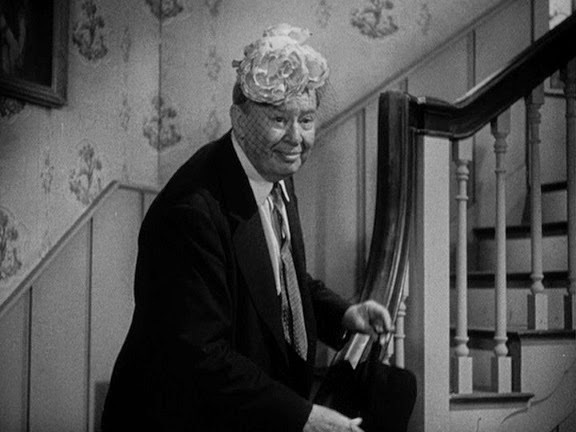 Charles Vidor's directing and the whole supporting cast are fine; especially Charles Coburn as Anne's father-in-law deserves an extra mentioning. 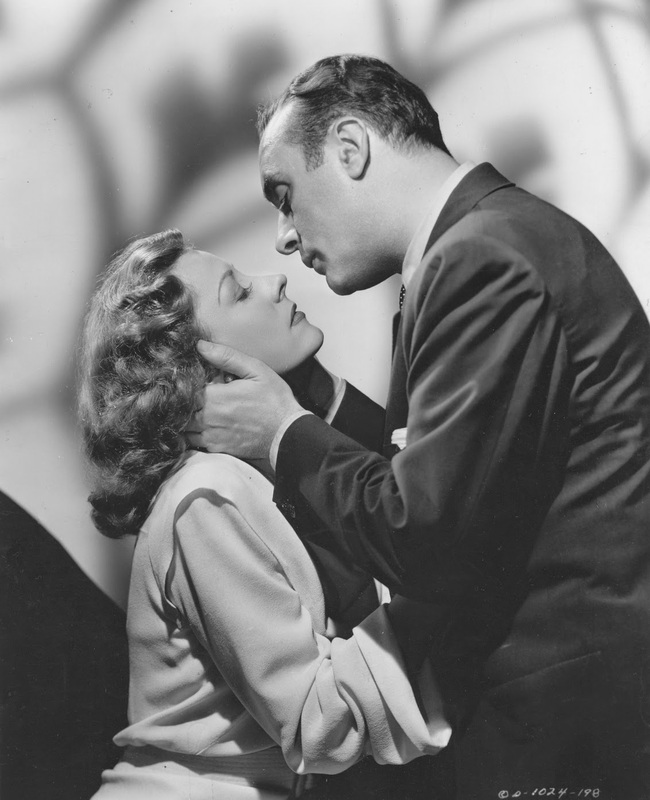 If there's something to really complain about it's the fact that obviously some scenes of Irene and Charles Boyer ended on the cutting floor. An elaboration of the Happy End would have been pleasant too. 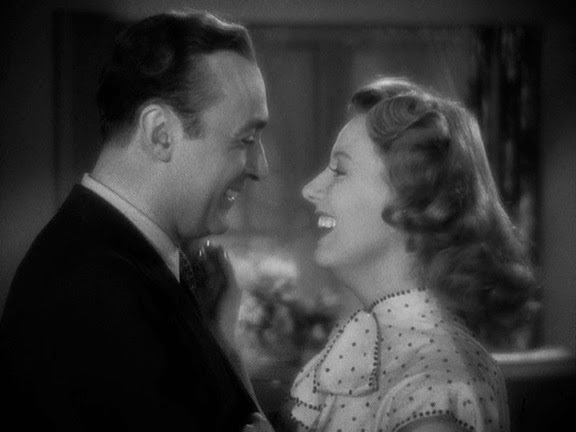 In a nutshell: this movie is not a classic comedy prime example but it presents Irene Dunne and Charles Boyer "Together Again" - and sometimes that's simply enough! 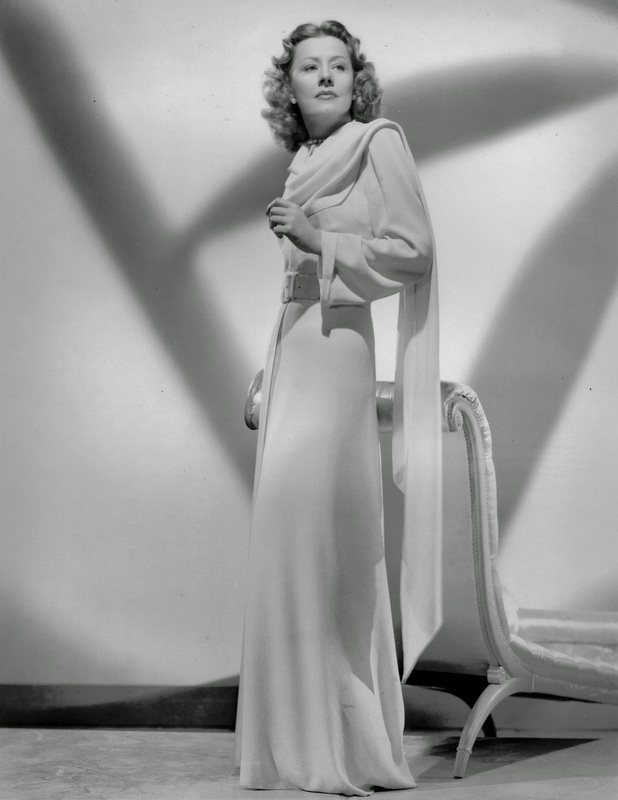 I'm a German admirer of the old Hollywood film especially of the so called women's film of the 30s and 40s. 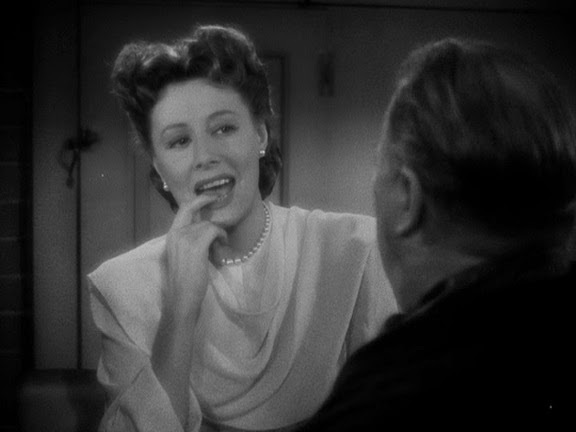 Just recently I discovered Irene Dunne for myself, who impressed me so much that I decided to launch this project. 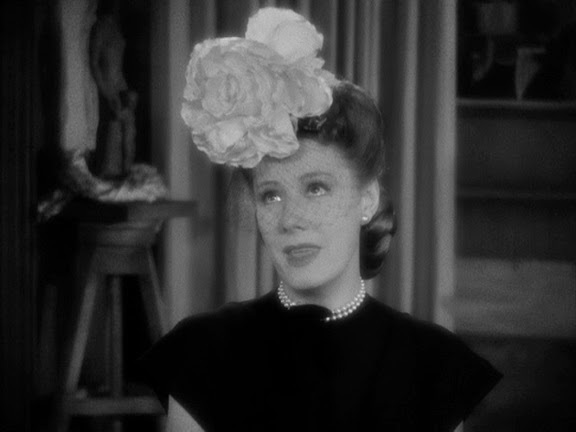 That's the idea: I'm going to watch Irene Dunne's feature films in chronological order and of course it would be a pleasure to share this journey through Irene's lifework. Let's start our trip and here is to Miss Dunne!